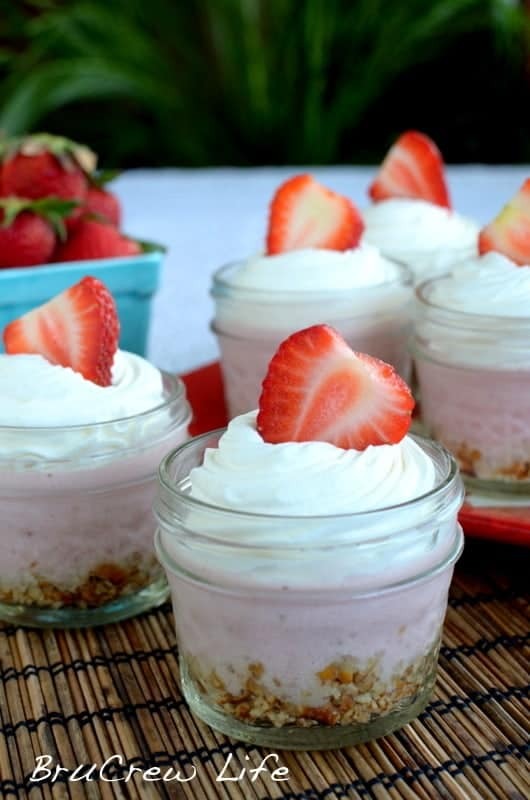 This recipe for No Bake Strawberry Cheesecake is a keeper for all those hot summer days. Can it really be the end of March already??? This month is flying by. And it is time for another SRC. I had so much fun going through her blog. She had so many awesome adventures and pictures to enjoy. I was in awe of the gorgeous scenery and flowers in her pictures!!! AND she is amazing in the kitchen too!!! but it is the desserts that speak the most to me!!! The peach cobbler looked so yummy! But then so did the chocolate bread pudding. How do I narrow down the choices? so that had some say in what recipe I could make this time. this recipe only uses a blender! 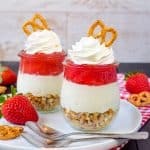 when you can make fun layered jello desserts in cute jars!!! but there were a few things I didn’t have. So I substituted with what I could find packed in my boxes. This will teach me to procrastinate! so it just seemed right to have a pretzel crust. 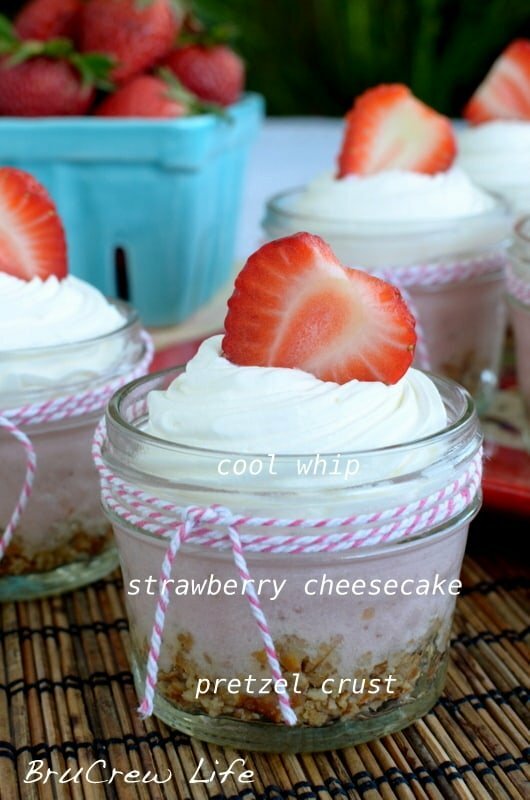 A delicious light dessert in a fun little jar! It got two thumbs up from all the kids!!! 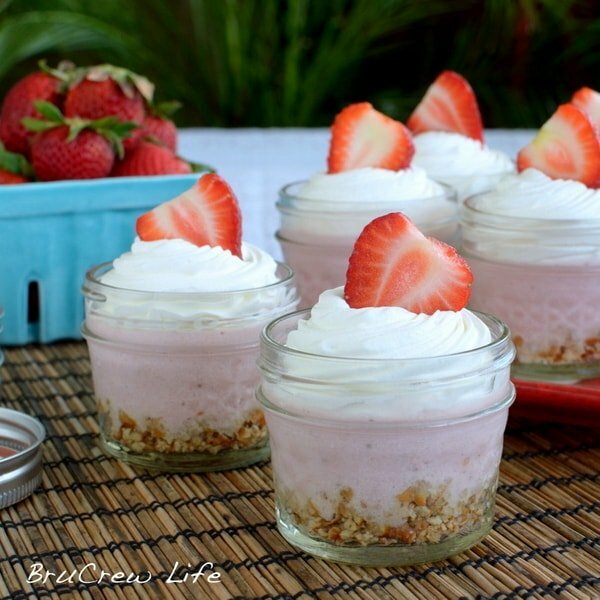 These easy No Bake Strawberry Cheesecakes are made in a blender or food processor. 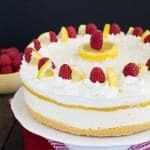 Perfect dessert for those hot summer days when you do not want to bake. Combine crushed pretzels, melted butter, and sugar in a bowl. Spoon into 10 small glass jars (4 oz. Mason jelly jars) and press into the bottom. Set aside. Combine the gelatin and warm water in a small bowl. Stir until dissolved. Set aside. 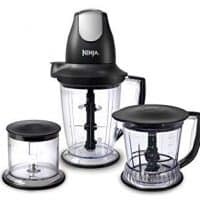 Place the strawberries in a blender and pulse until finely chopped. Add the sugar, yogurt, vanilla and cottage cheese and blend until creamy. Add the gelatin water and blend again. Pour into prepared jars. Refrigerate overnight. It will be a soft set cheesecake. You could also freeze for a thicker consistency. Serve with Cool Whip and strawberry slices, if desired. Yummers. Great choice, it looks delish! Pretzel crust is a total win. And they are so cute in the jars. These are just gorgeous! I LOVE pretzel crusts–and no-bake strawberry cheesecake is ALWAYS a win. Love, love, LOVE the pictures! This looks delicious! I’m going to have to try these this week. You had me at pretzel crust! Oh these look amazing!! Great SRC post! Looks awesome. What a fun recipe for SRC. Happy reveal day!! Pretzel crust? I am sold, I love salty and sweet together! Your cheesecakes looks fantastic, great pick. Oh, delicious!! I love that you can make super cute desserts with only a blender! And I LOVE those little jars!! This recipe would work well in Korean households because many of the smaller apartments don’t even have an oven. Looks incredibly easy and delish! Are you remodeling your kitchen? These are so cute and they look delicious! i am a big fan of recipes that require little work on the part of the chef too! Blenders and crock pot recipes are some of my favorites. definitely pinning this one. Coming over from SRC — fellow Group D food blogger! *drool* This looks and sounds so good! Perfect for right since I don’t feel like warming up the oven on these abnormally warm spring days! OMG! So easy. I’m loving it! I’ll definitely have to bookmark this for the summertime when baking a cheesecake is out of the question. Love your display of serving them in mini jars! You’re so creative and cute, Jocelyn! 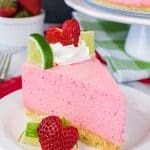 Mhmm, I love the idea of a salty pretzel crust with a sweet strawberry dessert! Yum! Yum – pretzel crust – just love all things sweet and salty. Cute presentation, too. Glad to have found your blog through SRC! 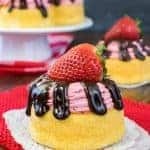 These look amazing and seem like the perfect spring dessert! Those pictures are amazingly gorgeous. I need you to teach me about food styling. 🙂 And I love this recipe. 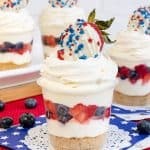 I’ve decided that, because our a/c is so expensive, that I want to do no-bake desserts this summer. This one? YUM! Yum yum yum! 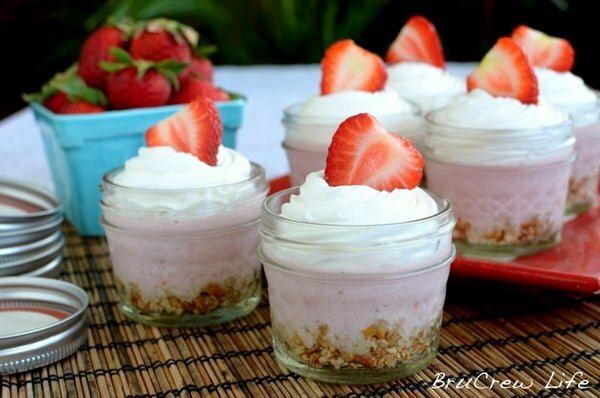 I love cheesecake and I love NO bake! This is perfect for me 🙂 I think these would be perfect for a baby or bridal shower. Maybe I can make blue ones with blueberries for my sister’s baby shower since shes having a boy! Where did you get the oh so cute jars? Pretzels crust with strawberries…I pinned this I must try it…fabulous presentation too! Love your presentation! At first I thought this was going to be super high in fat but I see you used cottage cheese not cream cheese!!! Bookmarking this! You always find the best recipes to make and these are no exception – and no-bake is even better. They are so cute. YUM! This sounds so good and your pictures are awesome! Nice use of some of my favorite kitchen ‘tools:’ a blender and mason jars!!!! These look pretty darn yummy! You chose the perfect presentation for those little cheesecakes. Who could resist dipping their spoon into them?! This version of cheesecake sounds so much healthier and even better that no oven is required. Fantastic job making them! they looks so cute in the little jars, that alone makes me want to make them. ha! well I think your procrastination and your kitchen situation worked out well since this is a great recipe to feature. Looks yummy!! 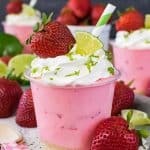 I can’t wait to try them when its strawberry season here! I love that these are no-bake, and the pretzel crust is fabulous! Pinning and spotlighting on my FB page today! I love these! Wonderful idea for a party or for a birthday! These are so cute! I love the idea of using cottage cheese and yogurt instead of cream cheese. I’m definitely using these in my healthy kids Parade recipe round up.